Have you ever wondered what would happen if you were shipwrecked on a desert island with nothing more than some coconuts and a spoiled deck of card to help? 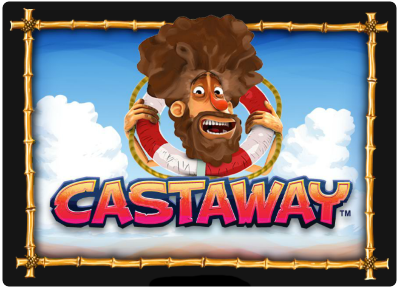 You'd probably play Castaway straight away. 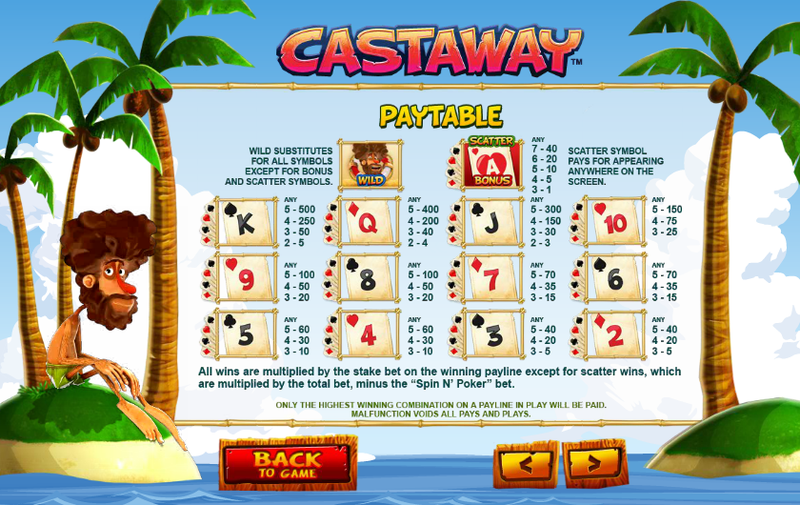 Castaway is a non-progressive 5-reel and 30-payline Video Slot released by Leander Games in 2013. It is a very particular example of online slots where slot machines and video poker games mix together to offer high level of entertainment and fun. Winnings are paid according to both the worlds with standard wins paid when the same card lands on certain lines, and side wins paid based on poker hand combinations in the side "SPIN N' POKER" game feature. The Robinson Crusoe of the game is a somehow humorous cartoon of a long bearded, red nosed and green underpanted man who works as the wild symbol, that substitutes for all symbols with the exception of the bonus and scatter symbols that are the aces in the deck. All the other symbols in the game come from the deck of card, so no big variety to be honest, but the sound is pleasant and perfectly fits with the theme of the game. 3 to 7 bonus symbols in any position trigger a bonus round in which you have to choose a bottle to proceed to the free spins (ranging from 10 to 30) bonus round or the "Multihand Infinite Holdem" bonus game, which gives you 3 to 7 Texas Hold'em poker hands to play. During the free spins bonus round additional free spins bonuses can be triggered. In addition extra (new) wild symbols appear on reels 2, 3, 4 to give extra winning combinations to the lucky player, thanks to a number of generous leaping fish. The most interesting feature of this game is the "SPIN N' POKER" side game. 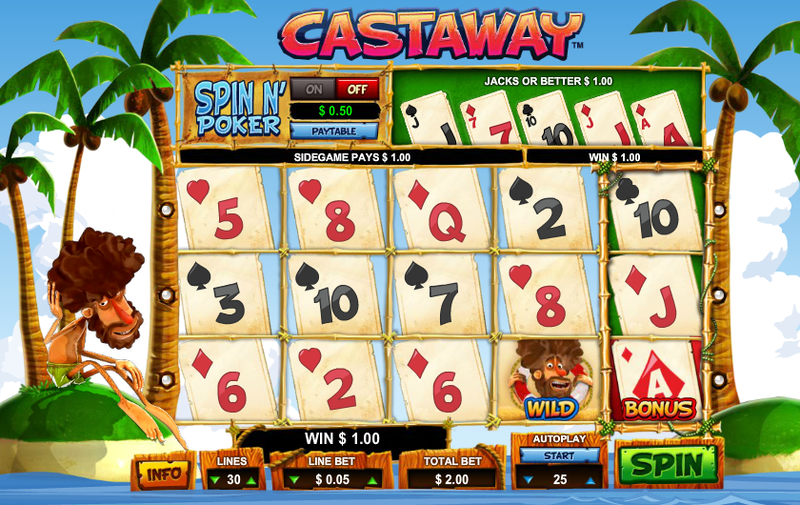 Once activated, two cards are dealt at the top of the screen before any spin and other three cards join after the reels stop, to form a 5 cards poker hand. This game can only be played when the maximum number of lines (30) is selected and its cost is 10 times the current bet on the single line. The winnings are paid according to poker hand rules and hence a royal flush is awarded with a 5000X multiplier, straight flush 2000X, a four of a kind (poker) 1000X and so on.